(skillet, oven or microwave) until hot. 2. Open a jar of your favorite honey mustard, bbq sauce or ketchup. 3. 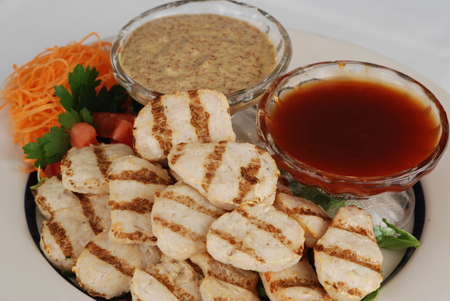 Arrange Naked Nuggets on a plate, and make dipping bowls of sauce. 4. Dip, munch, and be delighted.